I have been banned at home from making any more Nigerian buns, except if it’s going to be a gift or for business purposes. I make it a lot and I tell you, somebody’s waistline is not smiling at all. I’m sure you are thinking why am I starting this post with the negatives? I tell you what! These buns are very addictive and you have to be much disciplined to say no to eating them. 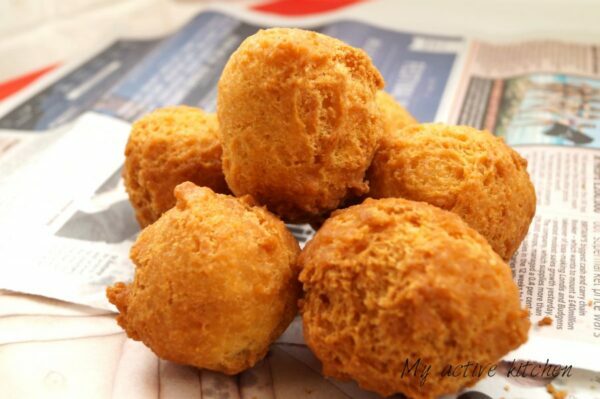 Nigerian bun is the brother of Nigerian puff puff. 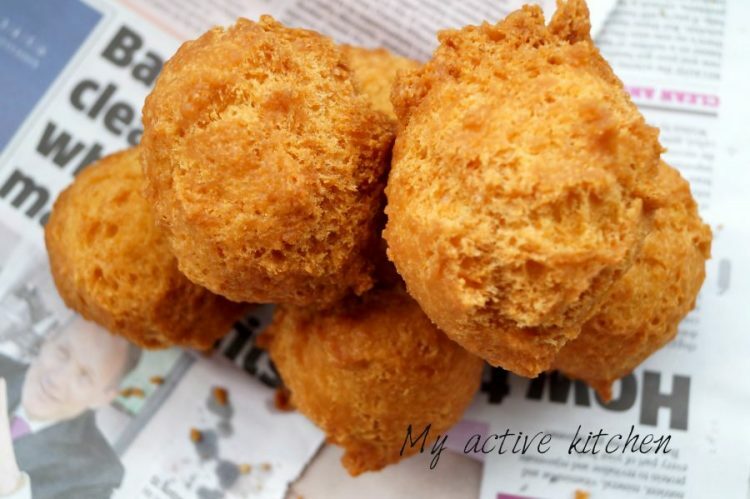 This Nigerian bun is rocky and crunchy outside and spongy when you break into it. It is very easy to make but can be quite tricky also if it isn’t done well or the dough overworked. 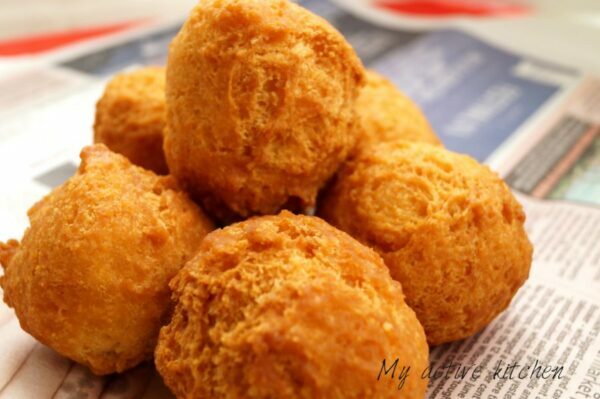 Nigerian buns are loved by all and you have a choice, if you don’t like it then you must love its brother puff puff. I’m yet to come across a Nigerian that doesn’t love both or one out of the two. I love both puff puff and buns but in terms of oil consumption, I prefer buns as it doesn’t soak up so much oil when frying. 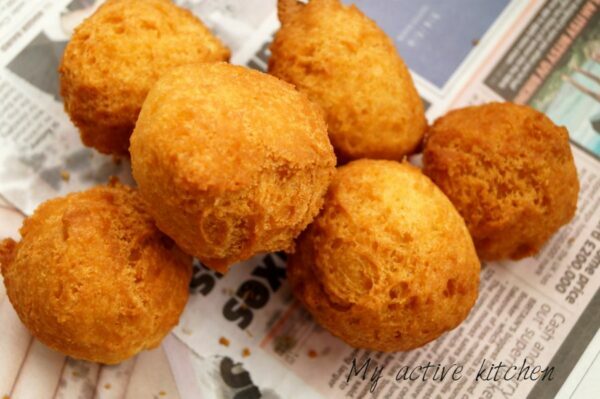 It is one of the popular street snacks in Nigeria and it is best enjoyed with a very chilled drink. You can add milk to the ingredients listed below and you can also skip the egg part. This recipe is easily adaptable and easy to make. Also, the recipe requires nutmeg but I didn’t have it when I made this hence the use of vanilla essence. Like I said earlier, you can get addicted to this snack so do eat in moderation. 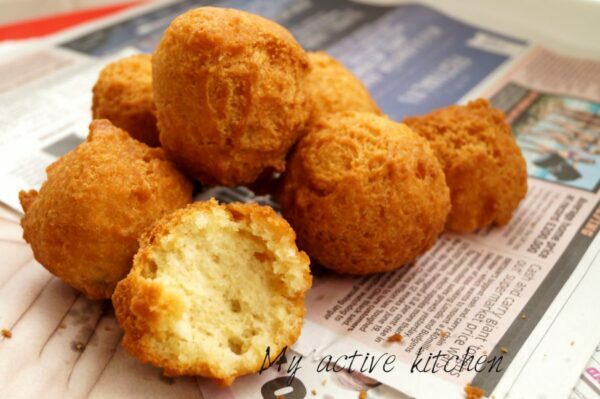 This recipe can be served as party snacks, picnic and it is also loved by the kids too. Alright, my lovelies let’s get on to making the best Nigerian buns ever. Add all the dry ingredients with the butter in a bowl and mix to form crumble. By dropping in a small batter, test the oil for readiness. If the batter floats atop, then it’s ready. Carefully drop the batter in the hot oil in batches but don’t overcrowd the oil. 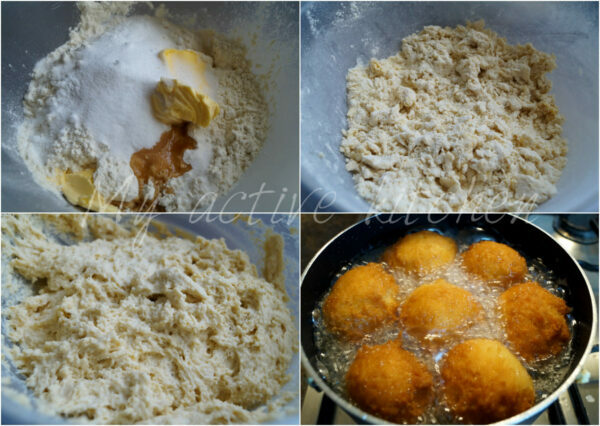 Repeat this process until you have exhausted the whole batter mix. Use a slotted spoon and transfer the buns on a paper towel. Serve buns cool or cold with any chilled soft drinks of choice or iced water. Thank you so much for the recipe on buns. I looked at a few recipes online and noticed yours has butter in it. I tried it yesterday and it came out perfect to my taste, I cut down on the sugar though. unfortunately I didnt take any photos and made a few using only 200g of flour. It was yummy!! Hi Yinka, thank you so much for trying out my recipes and taking out the time to feedback. It’s a lovely recipe. Just tried it. It’s the best I’ve ever made. Thank you. Thanks for your this lovely recipe. I tried it but it doesn’t come out like what is in the picture. I followed each step by step but my comes out rough not as round as yours. What did l did wrong? Thanks Joy, I will make a note on that and update accordingly. Thanks my sister, all your recipes are keeper. Hi Ma’am, thank you so much for your feedback. I am glad you found the recipe helpful. This is so yummy. Please can you convert into cups again. Am so bad with this grams. Thanks babes. Need to try this. Ajoke, thank you for being so creative with our Nigerian food. I spend time looking at master chef, come dine with me and many more food programmes including pining a lot of recipes on pintrest. To now see creativity out of Nigerian food is impressive and am proud of you. Keep it up. You have just taken me to another level in my kitchen, sooooo excited! Thank you so much Timi for your kind thoughts. I’m glad to be able to make your kitchen buzz with excitement. Looks yummy to d eyes. This is a nice recipe, I’ll be trying it soon.